The New York Jets have gone through several quarterbacks without finding a long-term option. 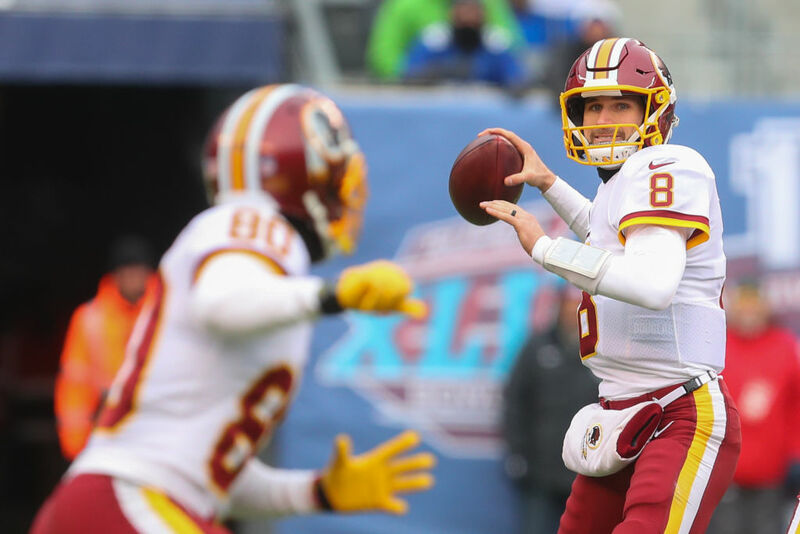 They believe Kirk Cousins is the answer to their quarterbacking woes – and they'll pay whatever it takes to get him. The Jets are willing to offer Cousins $60 million guaranteed in the first year of his contract alone, which would shatter the record for most money paid to a player in one year. With this structure, Cousins would likely make more than $100 million in the first three years of his deal, and almost all of it would be guaranteed. Other Cousins suitors, like the Vikings, Cardinals, Broncos, and Jaguars, can offer a more immediate chance at contending for a championship. But if Cousins' top priority is money, he can't do better than New York. After the expected releases of Muhammad Wilkerson and Matt Forte, the Jets will have about $100 million in cap space. A creative deal like this one may just help them land their top option. If Cousins accepts the deal, the Jets will still have $30 to $40 million to go after other free agents to help him out. They also own the No. 6 pick in this year's draft, and can either pick up a player that can contribute immediately, or trade down and grab a few other players that can bolster the team's roster. The Jets will have to sell Cousins on their rebuilding plan, of course. This upcoming season will likely be a bumpy one. However, if Cousins buys into the idea that the Jets will be a playoff team in the next two or three years, the Jets will be in good shape. They can go after more free agents in a few years since Cousins' cap number will be much lower than it would be in year one. It all comes down to what Cousins decides. But you have to give the Jets credit for thinking outside the box in trying to lure a potential franchise quarterback. Kirk Cousins will make more money than any other quarterback next year – and all of it is guaranteed. Kirk Cousins Is Betting Big On Himself... Will It Pay Off? Kirk Cousins declined to sign a long-term deal with the Redskins. And it's looking like a brilliant move. Kirk Cousins has the franchise tag... again. And every year they give it to him, it gets WAY more expensive.